Ostina 3 Fast Boat to Gili Island is aluminium boat 23 meters length, motorized with 6x engines Volvo D16 750HP rated under International Maritime, fastest and easy way to get gili islands. 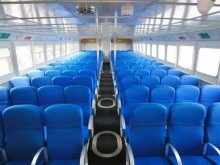 Boat capacity for 218 passengers completed with life jacket for your safety and also with insurance. 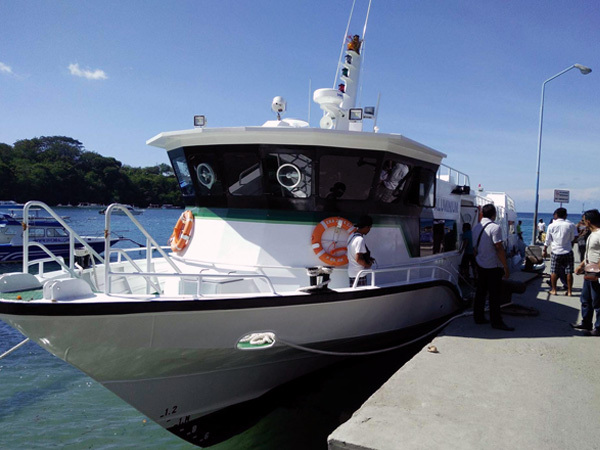 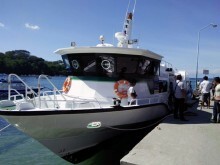 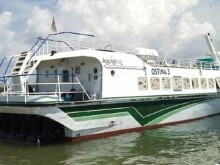 Ostina 3 Fast Boat is equipped with air-conditioned and CCTV to make your trip a comfortable. 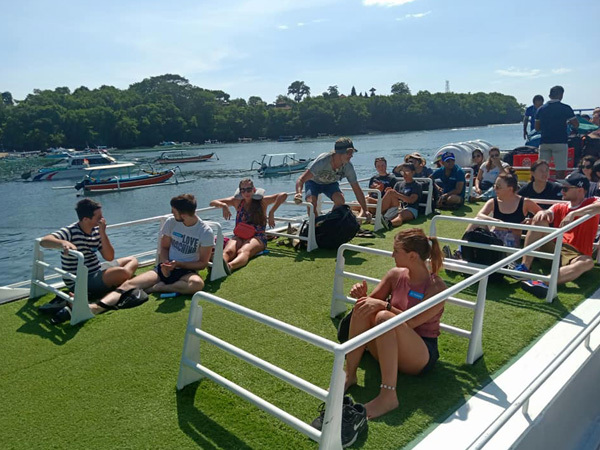 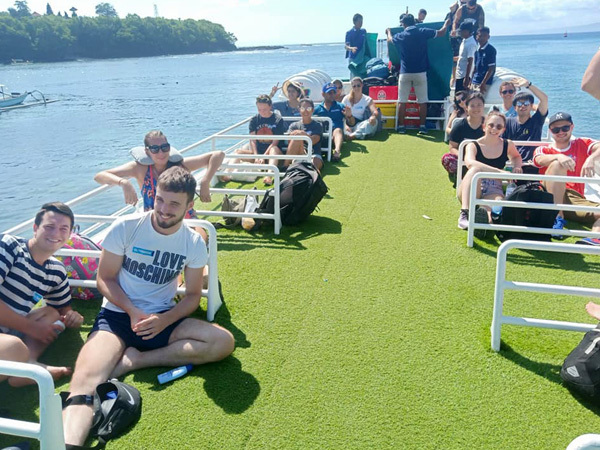 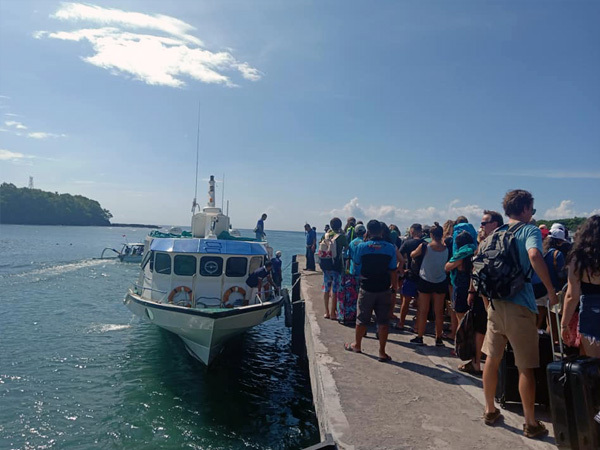 We offer you the Ostina 3 Fastboat transfer with daily route from Padangbai To Gili Trawangan, Gili Air, And Lombok total crossing time is about 1,5 hours. 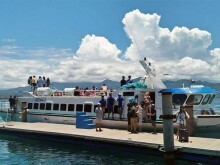 Pick up transfer from hotel in Bali with air-conditioned in vehicle. Friendly staff is happy to assist you with the check-in and help for your luggage before boarding. 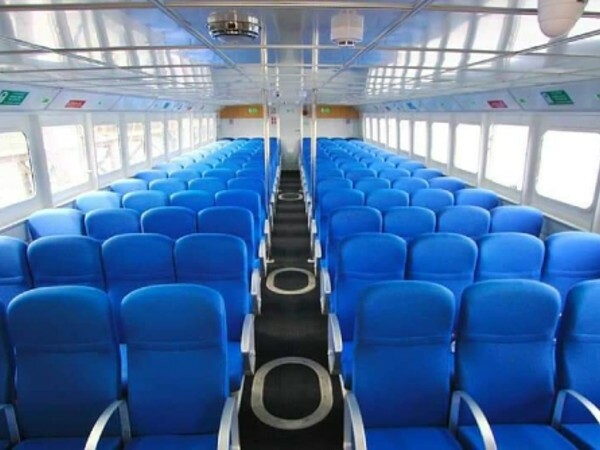 Enjoy your journey on the boat with stunning ocean views from inside the cabin or outside on the rooftop. Choose your best fast boat to Gilis and Lombok Island. 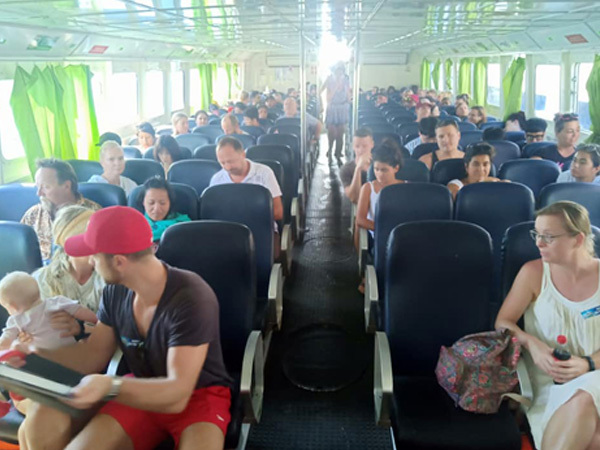 Life Jacket, 2X Pssg, Life raft, 2 set Life Flare, EPIRP, Fire Extinguisher, Fire Pump, CCTV, Marine Radio Communication, First Aid and 2 Unit Life Rings.